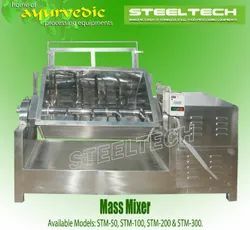 Double Cone Blender is an efficient and versatile machine for mixing of dry powders and granules homogeneously. - The conical shape at both ends enables uniform mixing and easy discharge. - Depending on the characteristic of the product, paddle type baffles can be provided on the shaft for better mixing, uniform blending and de-agglomeration. 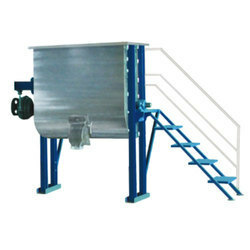 Ribbon blenders are used for blending powders of similar physical properties. Raw materials fed to the machine are moved left and right and upside down by the ribbons, which results in blending of the product.